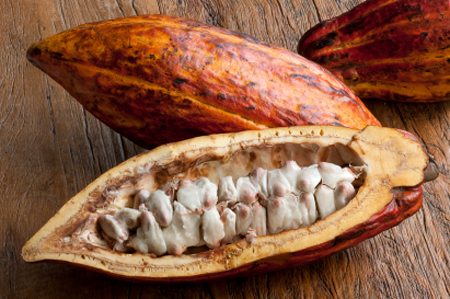 (CNBC) – Dry weather in most of Ivory Coast’s cocoa-growing regions last week could hinder the development of the April-to-September mid-crop, farmers said on Monday. The world’s top cocoa producer is in the midst of the dry season, which runs from November to late February. Harmattan winds sweep in sand from the Sahara, which can ravage cocoa pods and sap soil moisture, leading to smaller beans. Farmers said the Harmattan was mild this week and that there were many flowers and pods on trees. They said high soil moisture content was sustaining trees through the dry season, but more rain was needed to help the mid-crop develop. Supply from the bush had started to drop, the farmers added. In the western region of Soubre, farmers complained about the heat and lack of rain. “The past two weeks have been very hot. We need rain to protect the flowers and pods,” said Salame Kone, who farms on the outskirts of Soubre. “The weather is sometimes cloudy. We hope it will rain this week,” Kone said. Data collected by Reuters showed that rainfall in Soubre, including the regions of San Pedro and Sassandra, was at 0.7 millimeters (mm) last week, 2.9 mm below the five-year average. In the center-western region of Daloa, which produces a quarter of national output, farmers said the mid-crop would be promising if the dry season was mild. “Trees have not been damaged yet because the drought isn’t strong. If it rains well this week or next week, we think it will be okay,” said Raphael Kouame, who farms near Daloa. Data showed that rainfall in Daloa, which includes the region of Bouafle was at 0.2 mm, 1.6 mm below average. No rain fell in the eastern region of Aboisso and in the central region of Bongouanou last week. In most other cocoa-growing regions, rainfall was below 1 mm. Average temperatures ranged from 25.4 to 28.95 degrees Celsius.